As you guys know, we're choosing a colour to paint the kitchen. In my last post about it, we had brought home test pots in four colours. Two were pink-ish and two were blue-green tones. I thought it would be kind of unexpected to have a warm pinkish colour on the walls, but after seeing the colours in different lights on the walls, we decided we still hadn't found our colour. 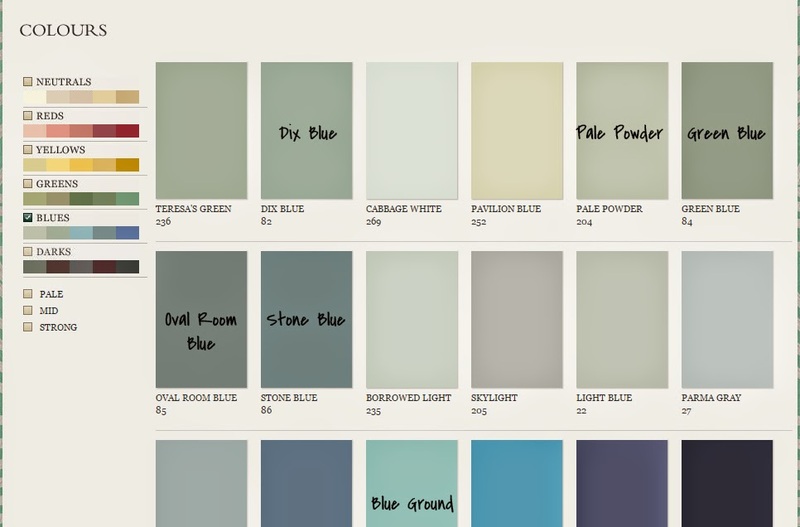 It was a bit disappointing, because I had hoped our new kitchen colour would be in the group of four but we decided another trip to Farrow and Ball and a few more test pots would be cheaper and less work than making a mistake on our walls. When we looked at our initial four colours, we decided that the pink tones were a bit much but Skylight was too cool. We decided the space needed a little more punch and we decided to look for a warmer blue or green. 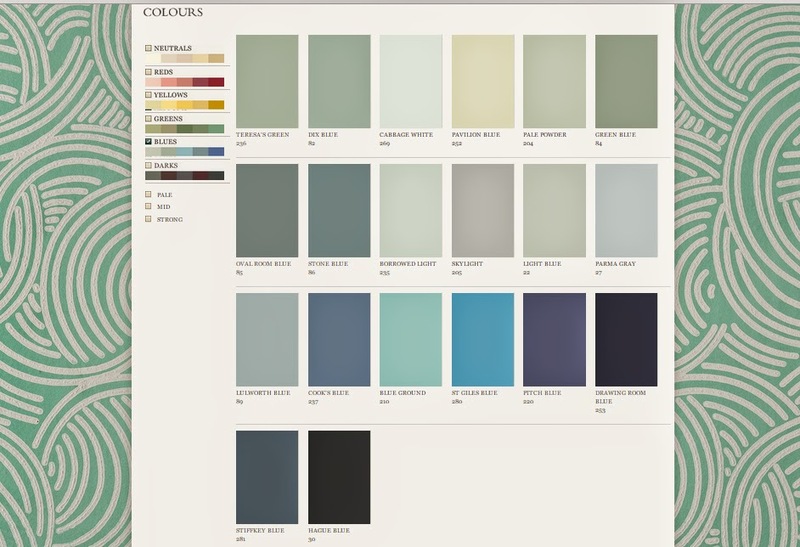 We checked out the Farrow and Ball website for some initial research. We decided to keep Pale Powder in the running and selected some new shades to test. My love of Dix Blue elicited several jokes from Corey. ... Okay, I'm equally immature and almost names this post "I heart Dix!!!" At this point, I am certain that we have found our kitchen colour. 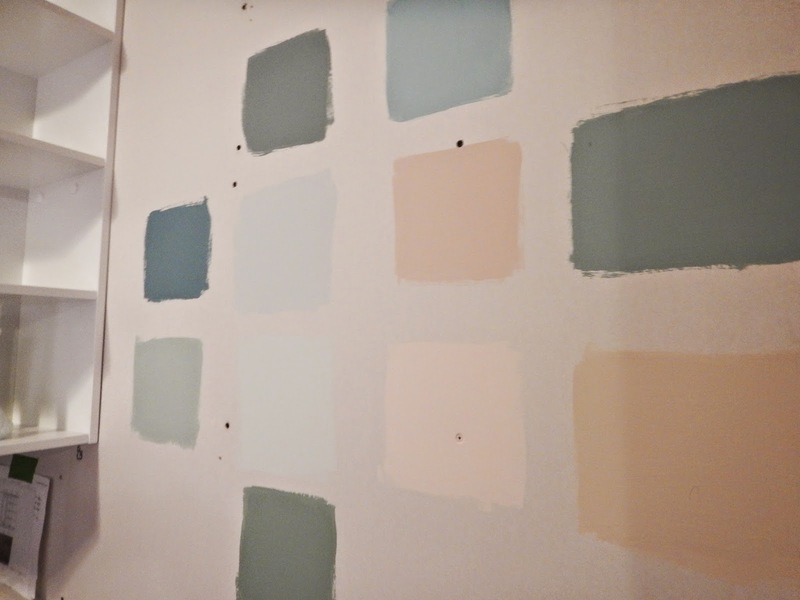 In fact, I'm pretty certain our dining room and upstairs bathroom colours are in this mix as well. What do you think?